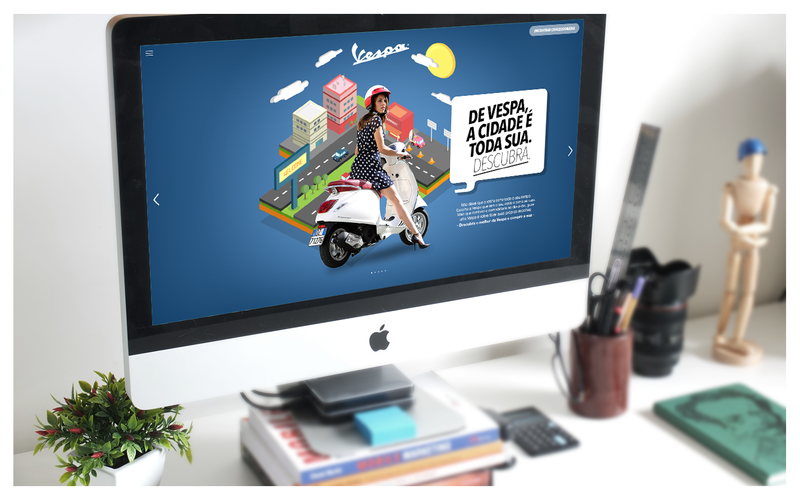 UX project for the Vespa scooter brand, with the purpose of increasing sales conversion, relevance among digital influencers and that may come to head the searches for new lifestyle in large urban centers in Brazil, starting with the city of São Paulo. 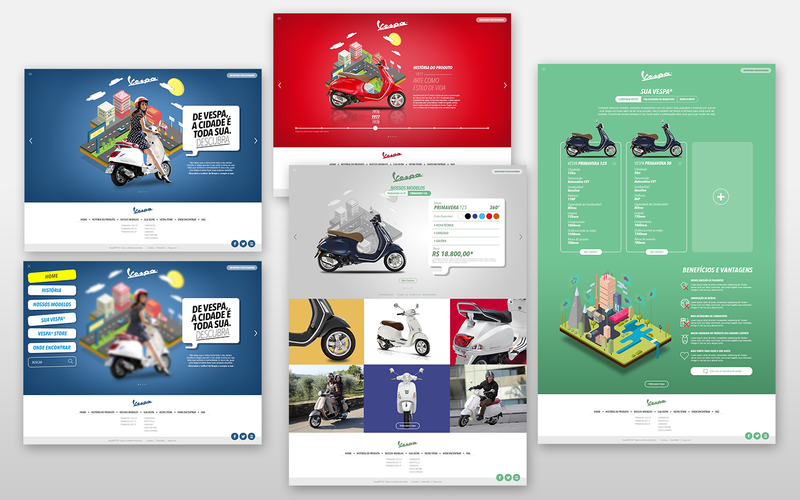 The project consisted of bringing the Vespa brand to an audience beyond its brand enthusiasts or advocates, introducing this scooter into the wish list of the most varied public within the urban space. In addition it comes with a proposal to make its visual identity younger and more adherent to the digital culture and its influencers. 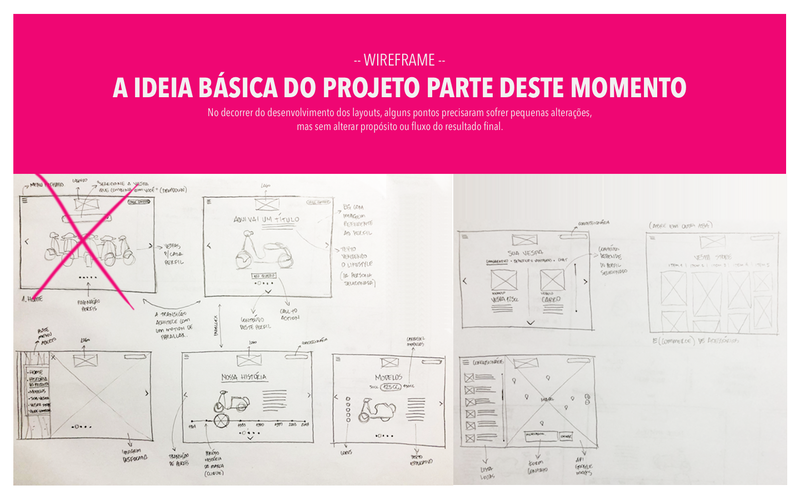 In this first phase of the design project, we did some interviews with people who were part of the campaign target and identified 4 important people. 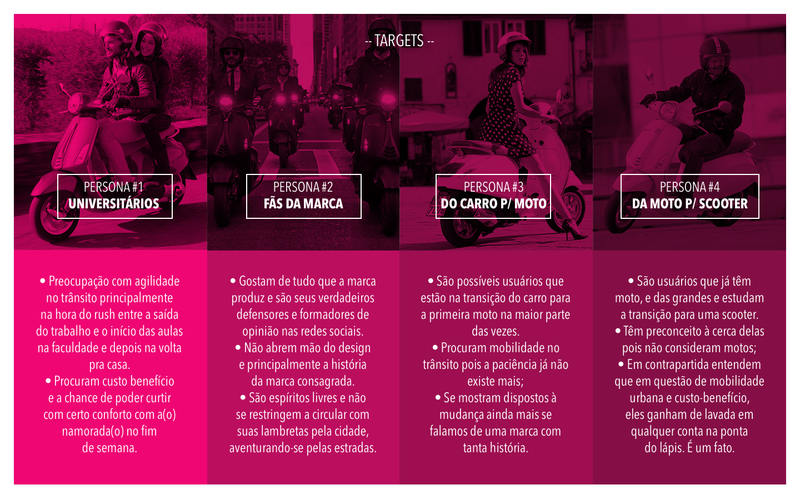 With these well-defined personas, I came to think of the tools and means to talk to this target in a way that was as natural as possible, changing as kids, using my personal experience as a biker, and went after doubts and generated hypotheses that justified a migration of doubt style and vehicle, for a Vespa scooter. At this point, already with some hypotheses raised, I created sketches that would give me a better idea of how this discourse would be built and in a convincing way through tools and resources that would make this branding experience in a product experience. 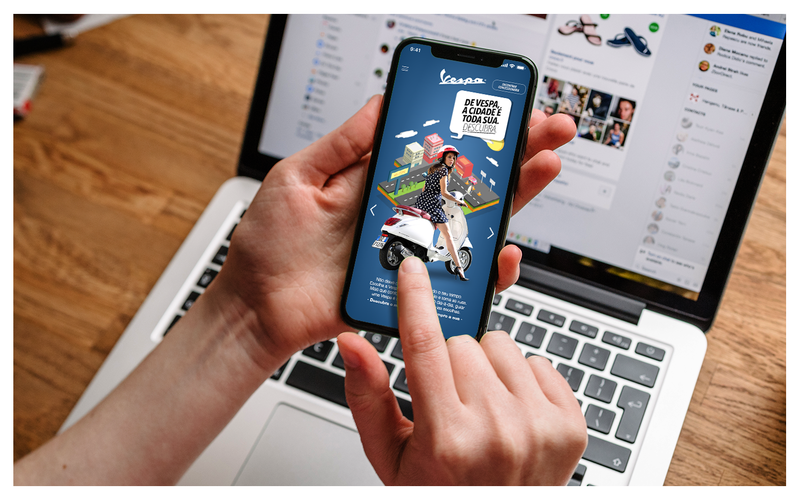 put yourself in the shoes of this user to feel the impact that your value proposition brings to the brand, the cities and the end user through a text that touches without appearing tacky or too straight to the point. 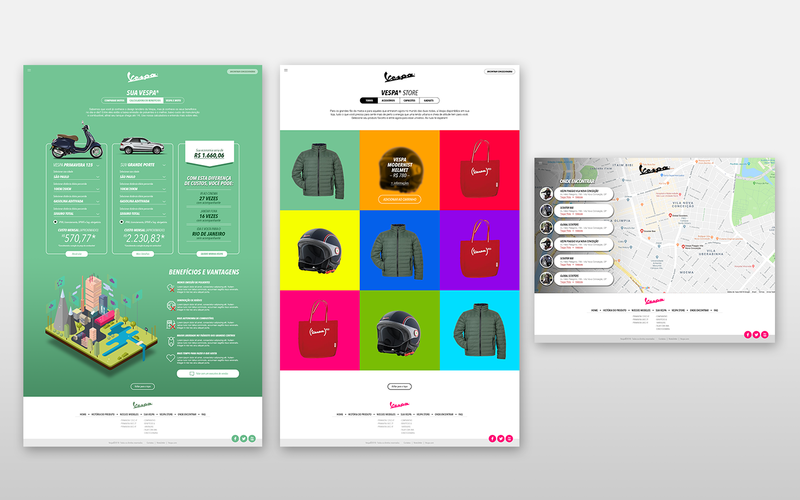 Visual concept and user's tools application. Benefit and advantages platform + sales platform (e-commerce). Project application on mobile devices. That it’s too good to work with the two things we love the most: motorcycles and people.